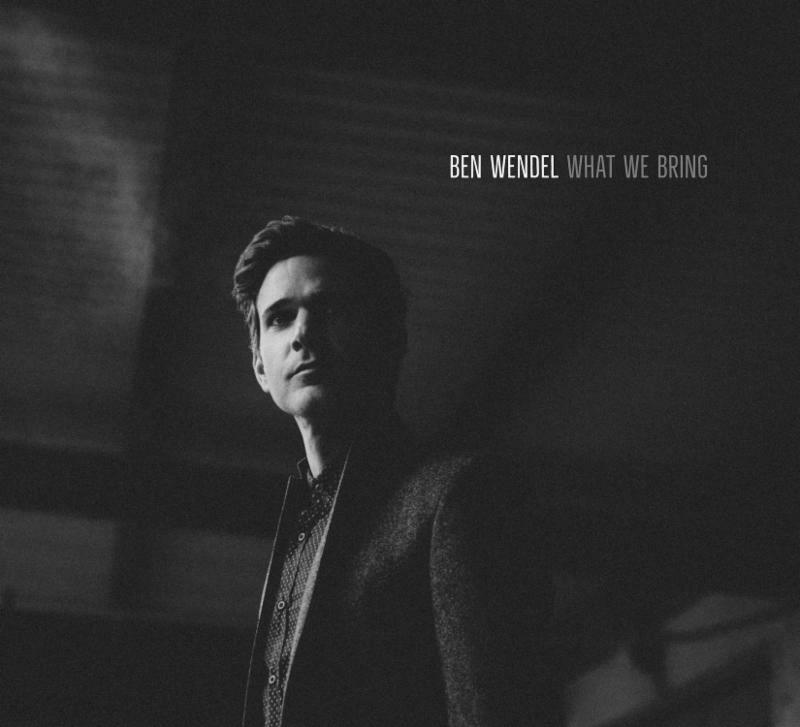 Saxophonist, composer, bandleader, educator and catalyst Ben Wendel's What We Bring, available September 9, 2016 on Motema Music (his 15th album as a leader or co-leader and his debut for Motema), is panegyrical, acknowledging the great legacy and lexicon that he has played and composed his way into. While composing the music for this album, it occurred to Wendel that the evolution of a musical genre, or artist, is a continuum that looks backwards and forwards at the same time. Wendel elaborated, "What We Bring refers to the experience, inspiration and shared wisdom that musicians collect and absorb throughout their lives, and how that is expressed through their art. All of the pieces on this album are dedicated to masters from the past, peers from the present and musicians of the future. In my opinion, nothing springs from a vacuum - all that we make is connected, influenced, and most importantly, indebted to what has been created before us and around us in the present day. This album expresses my continued acknowledgement and appreciation to all of those who have helped me along the path, both directly and indirectly." Wendel added, "I get the most joy when I find ways to express my love for the bravery of the people who came before me, for the people who are doing this music now, and for the people who will do this music in the future" (from the feature on Wendel by Ted Panken, DownBeat Magazine, June 2016). What impresses most about Wendel is that he has gleaned from past masters, and his peers, far more than technique and chops to become an artist who embodies the importance of finding your own voice, and the pluck to follow your inner compass. This is fully revealed and represented on What We Bring, which opens majestically and powerfully with "Amian", a subconscious, compositional reaction to listening to Coltrane's "Naima" hundreds of times in his formative years. Like "Naima", "Amian" possesses a melody that floats over a constant bass note, with shifting chord qualities, offering myriad moods and colors. "Fall" and "Spring" are two pieces repurposed from Wendel's acclaimed Seasons project of 2015, featured on NPR's All Things Considered, and in The New York Times (www.npr.org/2015/07/28/427178381/saxophonist-ben-wendel-reimagines-tchaikovskys-the-seasons, www.nytimes.com/2016/01/22/arts/music/with-the-seasons-ben-wendel-redefines-the-musical-encounter.html). "They were originally written as duo pieces for the exceptional pianists Taylor Eigsti and Aaron Parks. I felt they would be great vehicles for the quartet and decided to arrange them for this album", commented Wendel. "Doubt" is one of two covers on the album (the other being the standard "Solar", given a highly-entertaining, brainy, odd-meter face lift by Wendel & co.), by the indie-rock band Wye Oak. "I fell in love with their music years ago and this track is hauntingly beautiful in its mood and simplicity. What We Bring also refers to what we listen to, and at this point, most jazz musicians listen to a wide spectrum of music outside of our field. I wanted to showcase something that had moved me along the way", said Wendel. "Song Song" is dedicated to the great Ahmad Jamal, and was inspired by his famous composition, "Poinciana". "I was on tour with nothing to do one evening and watching countless performances of 'Poinciana' on YouTube. There's something incredibly meditative about the piece that I've always loved - the rhythm section's commitment to playing one beautiful groove throughout the song - not doing anything more, and most importantly, not needing to. I recall waking up the following morning with the bass line for 'Song Song' looping in my head", explained Wendel. "Soli" rocks and swings and, like the rest of the album, displays the band's ability to conduct complex maneuvers in complete harmony with one another (the term "big ears" comes to mind). A track like this will surely send fledgling musicians scurrying to the shed, and prompt listeners to quickly hit "repeat." "Soli" is a pre-written passage played in unison by multiple instruments. You can hear this technique used in everything from classical music to big band music and Wendel has always loved the sound of it. "In fact, I've always had at least one piece on each album that highlights this approach. Though I don't know how long this streak will continue, I can say this was perhaps the most challenging one I've written to date", said Wendel. One of the most emotive and gorgeous songs on What We Bring is "Austin", "dedicated to the incredibly talented pianist Austin Peralta, who left this world much too soon. I played with Austin on 'Endless Planets', his final album. I was deeply saddened by Austin's passing and also incredibly moved at his funeral by the outpouring of love from friends, family and musical peers. Many of his personal letters and writing were read at the ceremony. I was struck by the depth of his inner life - something he didn't show the outer world very much. I didn't get to see this side of him until it was too late. This was something I was thinking about as I wrote the piece," stated Wendel. On What We Bring, Wendel's camaraderie with his fellow musicians, Gerald Clayton (piano), Joe Sanders (bass) and Henry Cole (drums) greatly informed his artistic choices and inspired him. He has stated (in a recent feature by Bob Weinberg, Jazziz Magazine, Spring 2016) that, "it's hard to know where the music starts and the friendship ends", and that, "all of these layers of understanding and all the coded information that's embedded in how you play together, it's so intermingled." Ben's recent work includes producing and playing in jazz and many other genres, including the GRAMMY-nominated album "Life Forum" for pianist Gerald Clayton on Concord Records, the new Kneedelus album (Kneebody + Daedelus), released on Brainfeeder and given a rave 8.0 review from Pitchfork, appearing on Julia Holter's new film score, and collaborating with her on a new non-jazz album he is co-creating with Daedelus (the album will feature artists such as Terrace Martin, Knower and Mark Guiliana), producing an album for Folk/Americana artist Darryl Holter (a BMI Woody Guthrie Fellowship Recipient), playing on Jimmy Chamberlin's (drummer from Smashing Pumpkins) new instrumental album, and producing live concerts at the Broad Stage in Santa Monica, CA from 2008-2015, with the help of Quincy Jones and his production team. He also recently worked with conductor Kent Nagano in producing a series of concerts for the Festspiel Plus in Munich, Germany. Ben has recorded for Sunnyside Records, Concord Records and Brainfeeder, with two solo albums under his belt, Simple Song (2009) and Frame (2012), a duo project with French-American pianist Dan Tepfer entitled Small Constructions (2013) and multiple Kneebody albums. His music video project, The Seasons, inspired by Tchaikovsky's works of the same name, was released throughout 2015 and included guests such as Joshua Redman, Jeff Ballard, Mark Turner, Julian Lage and more. Ben's third solo album What We Bring is planned for release in the Fall of 2016 on Motema Music.